Gibbons Bar and Restaurant, The Neale. 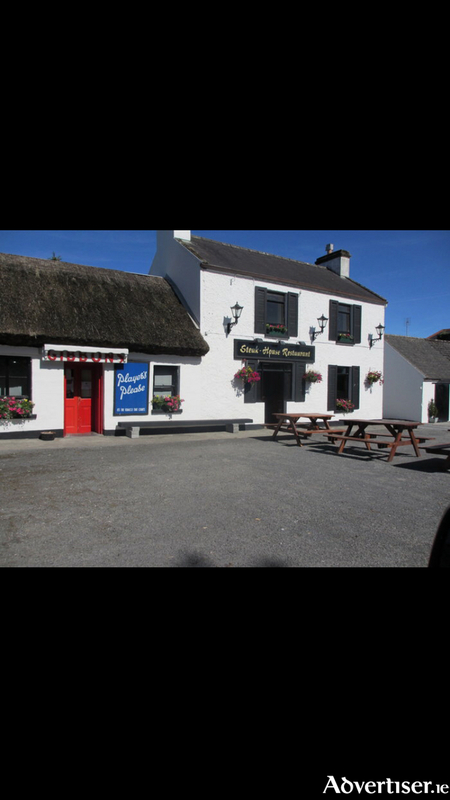 Heskin Auctioneers is bninging to the market Gibbons Bar and Restaurant, The Neale, Ballinrobe, Co Mayo. A quaint property with traditional thatch, it has retained several of its features dating back more than 200 years. The bar and lounge has been known for its traditional music, and friendly, warm and inviting atmosphere as sampled by many celebrities over the years, including members of U2, Westlife and the American Ambassador. Extended members of Britain's royal family also have held private functions in this property. The Neale is located close to many west of Ireland famous landmarks - Ashford Castle in Cong and the busy town of Ballinrobe are both just three miles away, while Galway city and Castlebar are 25 miles. It is situated between Lough Mask, and Lough Corrib which hosts world angling competitions, and the only racecourse in Co Mayo is situated in Ballinrobe. The accommodation comprises the bar, lounge, restaurant (40 seats approximately ), kitchen, smoking area, toilets, storage rooms and separate small unit with retail potential. The property has a first floor comprising two bedrooms with en-suites and living accommodation. There is parking front and rear with some 50 parking spaces, and there is plenty of room to facilitate outdoor catering. This premises is in walk-in condition and ready to trade immediately. It is to be sold fully furnished and equipped. Viewing is highly recommended. Guide price € 350,000. To arrange a viewing or for further information call Heskin Auctioneers 091-565857, or contact Shane Heskin on 087-2538739.